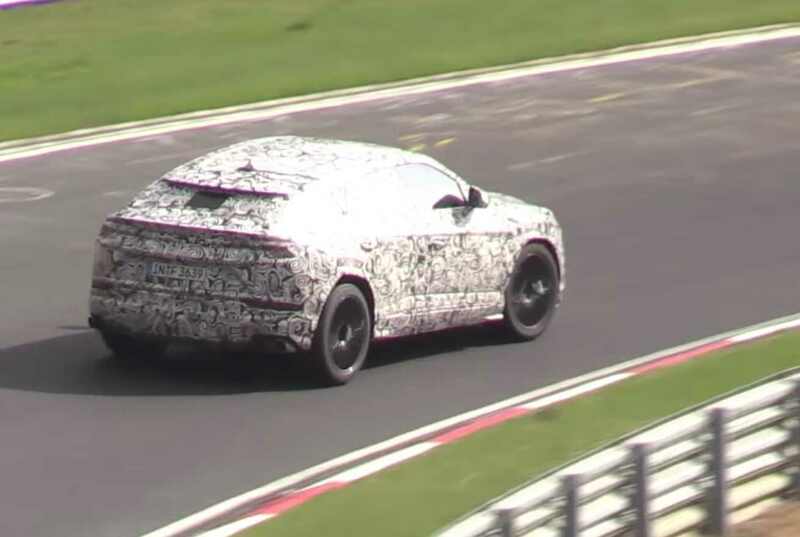 News with the upcoming Urus from Lamborghini that will join the rest of the flagships from the SUV market are not new, the prototype being already spotted wearing heavy camouflage around the body while undergoing track tests. The latest spy video highlights the test mule being tested out in full throttle on the Ring, alongside other models like the new BMW M5, Opel Insignia or what seems to be the upcoming top of the line i30 N from Hyundai. As we can depict from the spy video, the new Lamborghini Urus will be extremely powerful, especially since you can hear the wild roar of what seems to be a V8 engine. Speaking of which, the model is rumored to come with a twin-turbo mill with around 480 kW. That might just make it the fastest SUV in the market, faster even than the Bentley Bentayga. Once arriving on the market, the new Lamborghini Urus will share the company`s new MLB Evo platform, also seen on the new Audi Q7 or the Porsche Cayenne. Compared to its fellows within the Group, the all-new Lamborghini Urus will stand-out from the crowd with a new language design highlighted by a four-door coupe body style, Lamborghini`s signature on the front and rear ends – inverted headlights, aggressive front, sporty rear end with chunky diffuser. Some parts will also be constructed from carbon fiber composites to ensure increase performance. As for the interior highlights, this will also borrow the company`s latest gadgetries, like an adopted Virtual Cockpit digital instrument cluster from Audi, adding as well high-end materials on the sports seats or dashboard. Until further details next time, please take your time and hear out the wild engine soundtrack of the Lamborghini`s future Urus SUV!